Love that you make a difference between 'classic' and 'vitrine'... and that in the capital city of France.. hehehe... the centrum! 'passages'? Dear, I am mad for joy! Oh, so nice to "walk" through Paris with your eyes, wonderful and so Parisienne! I love your window licking and in the mass these Eiffel snow globes are totally awesome - maybe a good idea for a future collection! Thank you heat wave girl. Uh, ça me fait une véritable nostalgie du voyage...merci for taking me down memory lane again...recognised some places, discovered many new...but all in all felt that certain Paris sentiment that makes me want to pack my bag and move over to the River Seine! Throwing my arms around Paris again! And so did you. 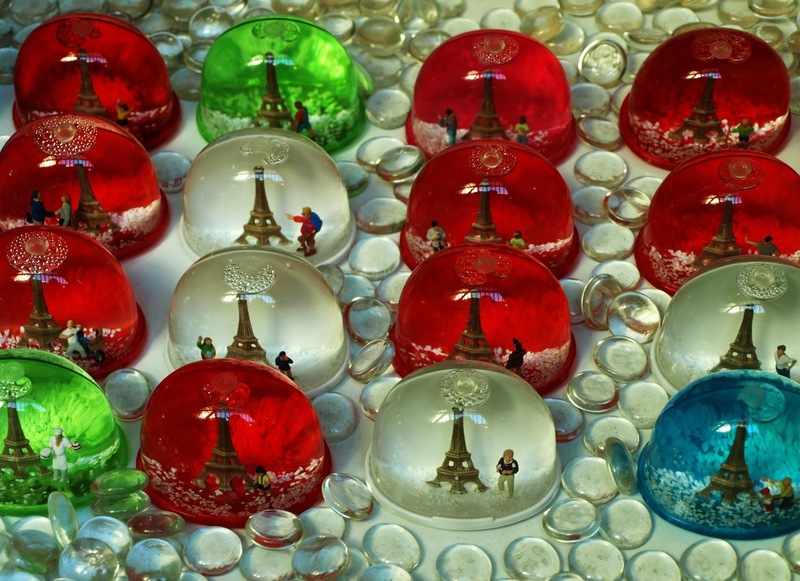 i know they're considered sort of tacky, but i love those snow globes!